Chevrolet announced that C7 production will cease summer 2019. Whether or not the front-engine C7 will be sold alongside the mid-engine C8 has been a question mark for Corvette enthusiasts, but the announcement of the sale of the last C7 confirms the end of an era. Now that standard is changing, the C8 is a revolution for the Corvette nameplate, and with the change comes a split from the Corvette community. Initial speculation penned the C7 to be sold alongside the new C8, but with Chevrolet’s announcement that the final C7, a black 2019 Z06, will be auctioned at Barrett Jackson’s Northeast sale on June 28. GM has not indicated if the Z06 will be a coupe or convertible, or if it will have an automatic or manual transmission. The sale will benefit the Stephen Siller Tunnel to Towers Foundation, which builds mortgage-free, accessible smart homes for the most catastrophically injured service members and helps pay off mortgages held by families of first responders killed in the line of duty. 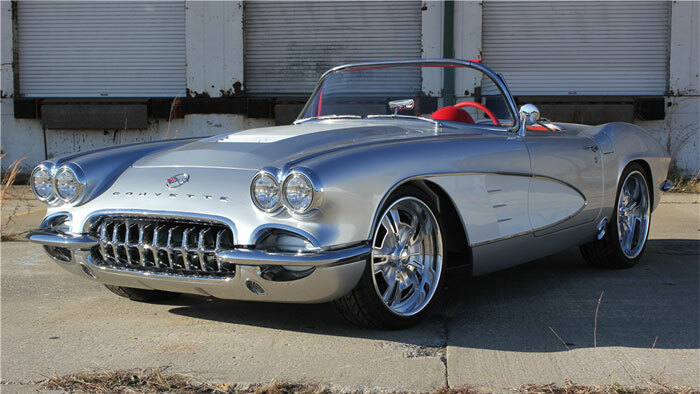 The Corvette has been front-engine since its introduction in 1953. The model did not gain its performance reputation until the new-for-1955 small-block V-8, which set the standard for the the American sports car in many hearts and minds. This confirmation of the last C7 means moving forward the Corvette community loses two things that many consider part of the character of Corvette—a manual transmission and front-engine layout. (We expect the sole transmission choice at launch will be a seven-speed dual-clutch automatic, with no row-your-own gearbox on the horizon.) Chevrolet and Corvette continue to bum-rush the summit of the performance car heap, but how much of its heritage is it willing to give up to get there? The C8 base price is rumored to be $62K as well which is just $5K more than a C7. But for me if there is no manual it's no sale. 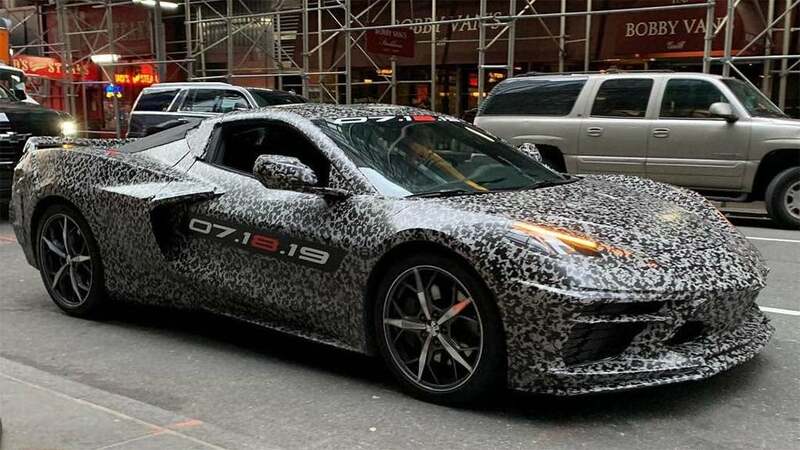 The biggest thing for me is that the C8 is looking like it will be pretty ugly. Hoping when the camo comes off I change my mind, but not liking what I am seeing. Hopefully the new camaro is not an indication. So my buddy at work mentioned C8's are going to be midship rear drive.. more and more like a poorman's Ferrari, no? They should just keep the Corvette heritage and leave the layout the same, make them look more distinct from a Ferrari. Yes, this has been known for a while now that the C8 is mid engine. I think they are at the limit of track performance from a front engine layout. Personally, it doesn’t bother me at all. I’m not one who is much for nostalgia. I just hope the C8 actually looks good, but the camo car isn’t making me hopeful at all. I don't follow WEC but they have their hands full in IMSA keeping up with the front engine setup. I believe they want to be more competitive in road racing and thus the change. It obviously has very little to do with street performance or even average owner performance because neither should be pushing the limits of the design. The Ford GT seems to be done after this year so unless the re up that's one less to compete against. BMW still seems to be holding on to the front engine RWD thing but again they aren't obviously competitive either. Noted on the performance limits of front engine rear drive setup, sounds like a valid reason. I suppose like the Soviet space shuttle, when you engineer something to the performance limits they all start looking similar. IMSA's GTLM is very criticized for their BoP so perhaps it isn't the best example but I'm sure it plays a part in the decision. The companies certainly like to advertise magazine numbers, Championships, and Ring lap times. From the spy pics it looks ugly as sin. I don’t think it’s going to look pretty even with the camo off. And why is this bad? Looks killer. These are going to sell like hot cakes. I don't know man, that window belt line and those Camaro fenders *Shudder*. For all I know it could just be tack on body panels for camo-sake, but that mule or whatever it is, doesn't look very promising. How else do you attempt to transition, in one generation, front-engine to mid-engine while still keeping the Chevy Corvette design traits. I applaud Chevy for the attempt as the easy thing to do would’ve been to completely disconnect the design language from anything Corvette. The C9 is when they’ll have the freedom to go mid-engine nuts on design. If you told me that was a Mclaren in camo I would believe you so not sure why some posters think this is ugly. The side scoop looks a little tacked on but otherwise it looks like a lot of mid engine supercars during the test and development process for better or worse. There are a number of things that really bug me. For example, the front grille looks very tall and large to me. There isn’t much dip in the hood between the wheel arches. It’s just very flat across there and makes the center of the grill appear very tall to me. Another thing is, the rear hips of the car seem to be made of lots of flat planes. Notice how above the rear wheel it’s an almost vertical plane, then with a sharp corner that transitions to another very flat plane for an engine cover. Now compare to something like the 720S or F8 and you see how they have curves hugging the car, as if the body were shrink wrapped over the internals. To me, that is just so much sexier and less clunky looking. The side scoop is just weird to me. It sticks out quite a bit and looks tacked on, instead of flowing into the design. Lastly, the rear end looks like a large flat surface. First of all, it doesn’t look aerodynamic, and secondly it looks boring. Again, compare to the 720S or F8 and how subtle design cues make the rear end appear much smaller, sleeker, and more aerodynamic. All that being said, I realize there is still camo on the car, and definitely some obvious padding in areas. So, when it’s revealed maybe some or all of those criticisms will be eliminated. But I am not hopeful. There is a guy over on some of the Corvette forums that has done a fantastic job of creating a render based on all of the spy shots and it doesn’t look good to me. I’m hoping he’s wrong and that GM has just done a really good job with some camo trickery. Wait for the final production version. They are likely holding some stuff back or trying to fool folks. LOL that is a very ugly car but at 62K that would be an absolute bargain. Evora money for something that will be firmly exotic level performance wise? I can almost promise you that the side scoop things are tacked on to hide that design feature. The mid engine thing is done to death so few things distinguish them from one another. THe side scoop is a prominent design feature so I bet they want to keep the wraps on it. I had just warmed up to the C7 as not being hideous, now they changed it. Are they saying ALL corvettes will be mid engine from C8 onward? I agree that a manual is a more connected, more fun experience, but we all have to realize that our beloved manual transmissions are dying. The governments say cars have to get more efficient. Easier to increase the corporate average by eliminating the manual trans. What cars out there with supercar level performance come with a manual transmission? 1962...on my dream car list. If GM rounded off all the edges and made it look like a McLaren or Ferrari or [insert other car here] would you give them more credit, or would you knock them for being unoriginal and copying everyone? I'm not sold on the looks either, but it does look unique while still borrowing styling from other pleasant-looking automobiles. I suspect the large looking openings are actually large openings. GM switched to mid-engine to get more performance out of it. The openings give more area for radiators and cooling and likely improved flow to brakes. If there is going to be a hybrid version with a battery pack and e-motor they are going to need additional cooling circuits for those items. Maybe they planned ahead. The pointy front nose also reminded me of The Ferrari. Not my favorite shape. I don't like cars with pointy noses. Too many of them these days.